Eight Bible stories are depicted in intense colour and comic, cartoony illustrations. There is a sentence or two explaining the scene at the top, and then details to spot, mistakes to find and questions to answer along the sides of the picture. Did Noah's workmen REALLY have power tools? How many rabbits are in the picture? Children will love scouring the detail to find the answers and spot more amusing detail in the busy artwork of Emiliano Migliado. Stories are: Noah and the Ark, Crossing the Red Sea, The Fall of Jericho, David and Goliath, Jonah and the Big Fish, Feeding the 5,000, Man Through the Roof. Bible Stories Gone Crazy! by Josh Edwards was published by Lion Hudson Plc in July 2015 and is our 429th best seller. The ISBN for Bible Stories Gone Crazy! is 9781781281901. 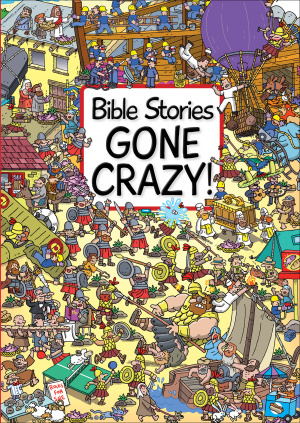 Buy Together Offer for Bible Stories Gone Crazy! Bible Stories Gone Even More Crazy! Reviews of Bible Stories Gone Crazy! 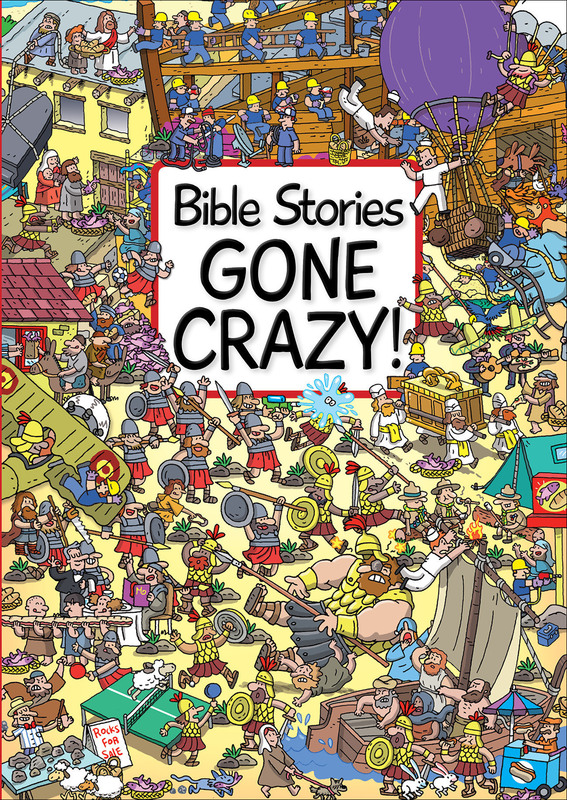 Be the first to review Bible Stories Gone Crazy!! Got a question? No problem! Just click here to ask us about Bible Stories Gone Crazy!. I am looking for biblical reading books for my 10 year old granddaughter. She has very good reading skills and won English prize at school. What would you suggest I buy for her? Also daily notes? Details for Bible Stories Gone Crazy!